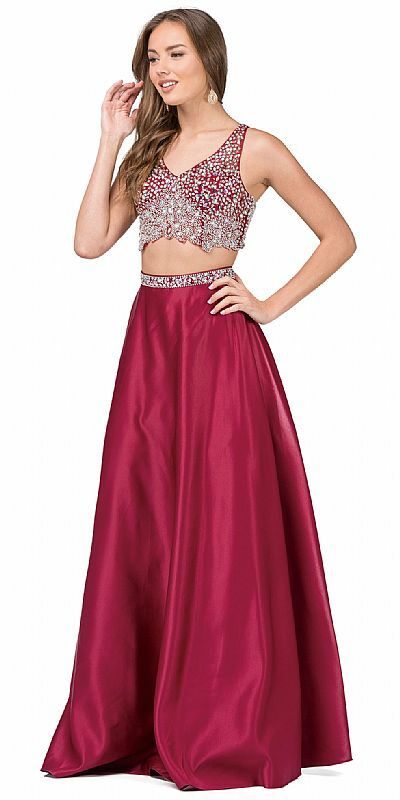 Wholesale Prom dresses, bridesmaid & cocktail dresses, evening dresses & formal dresses. 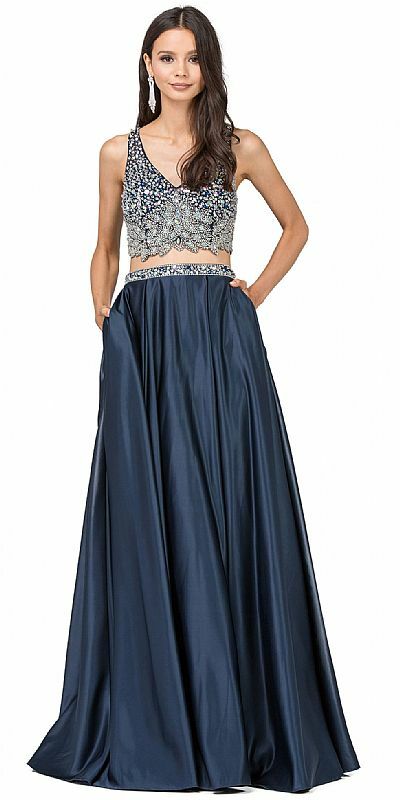 V-neck Bejeweled Top Long Satin Skirt Two Piece Prom Dress. Floral beads pattern on the a-shape hem on top with rhinestones on the bust part. Polyester satin skirt is approx 51" long with rhinestones belt on the waist. Racer back top with zipper closure & on the skirt too. Bra cups included & Imported. Please take measurements over your undergarments and if you are in-between measurements, please order the next size larger. Measure under arms around fullest part of bust. Be sure to keep tape level across back and comfortably loose. Measure around natural waist (an inch above your belly button) with a loose tape. Measure around fullest part of body at top of legs. Keep feet together and tape parallel to floor. permission from Singhimpex.com is strictly prohibited.